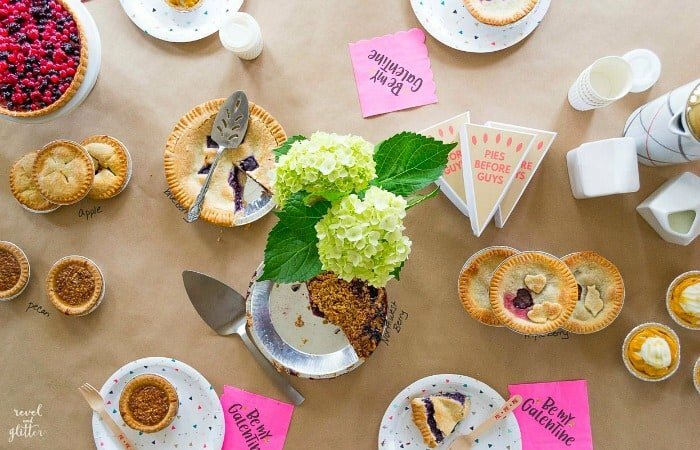 This Pies Before Guys Galentine’s Day Party post is courtesy of our contributor Dawn of Revel and Glitter…Galentine’s Day is February 13 and has been gaining popularity since its 2012 introduction by Leslie Knope of Parks and Recreation. It’s not just for single ladies, but a great way to celebrate your female friendships and spend some quality time. 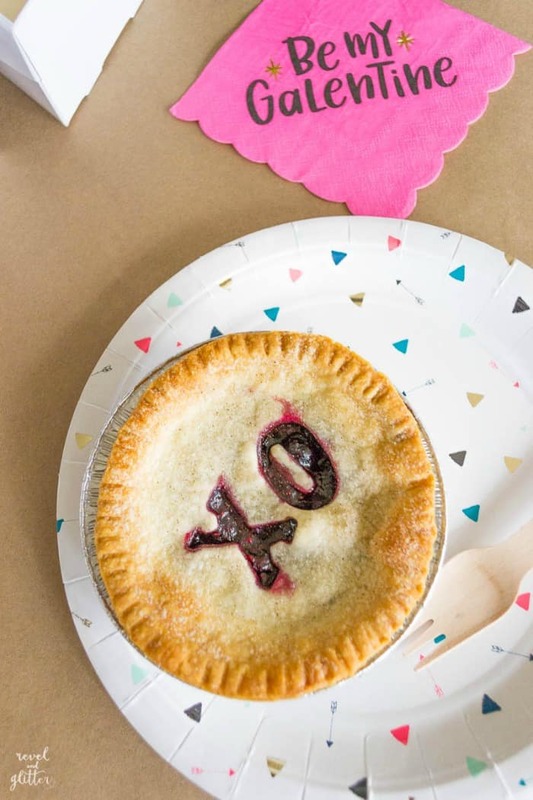 You’ve heard of Fries Before Guys, so we are taking it up a notch with a Pies Before Guys Galentine’s Day Party! If you haven’t heard, I heart pies! They are one of the few baked goods I have a decent handle on and they are fun to customize. 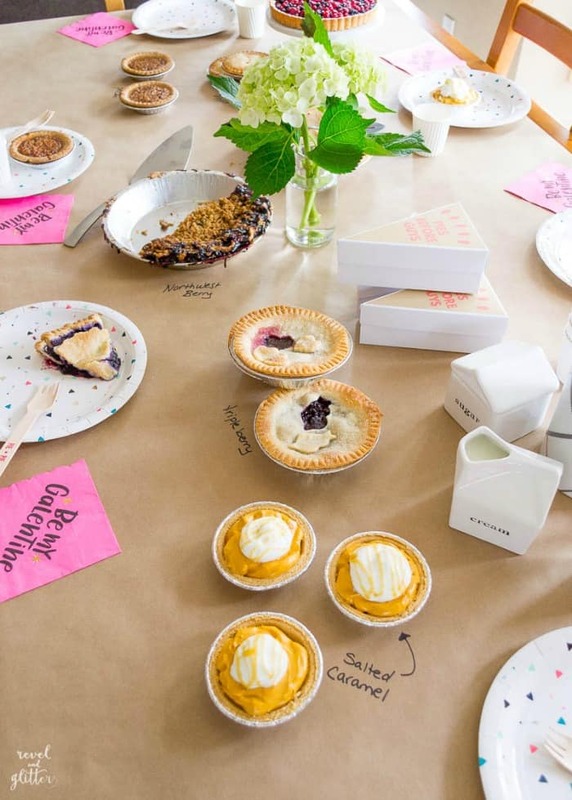 A few pies and simple decorations and you are ready for a party. This is a great morning or after-dinner gathering…but let’s face it, pie is great anytime! 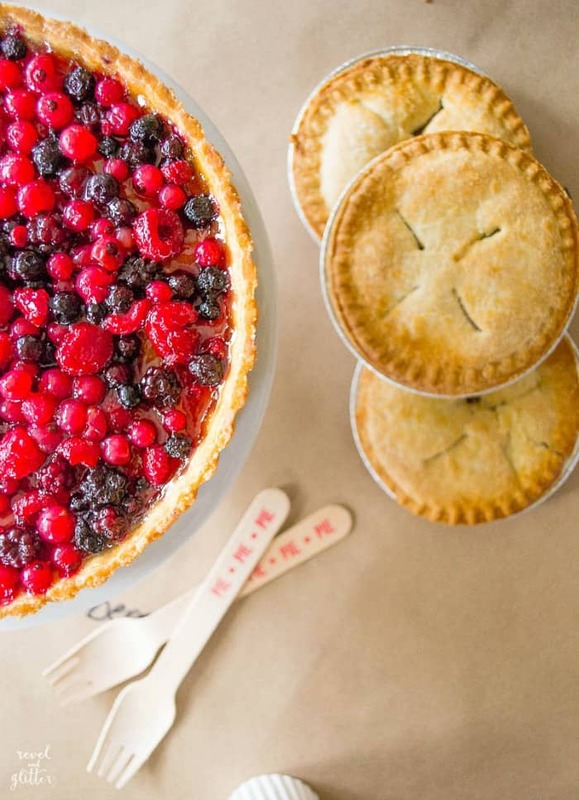 From fruit to cream to pizza, invite everyone in on the fun by bringing her favorite pie to share. Be sure and keep everyone in the loop on who is bringing what or you may end up with a table full of apple pies. Have a lot of great bakers on board? Ask each person to bring enough copies of her recipe to swap with everyone else. 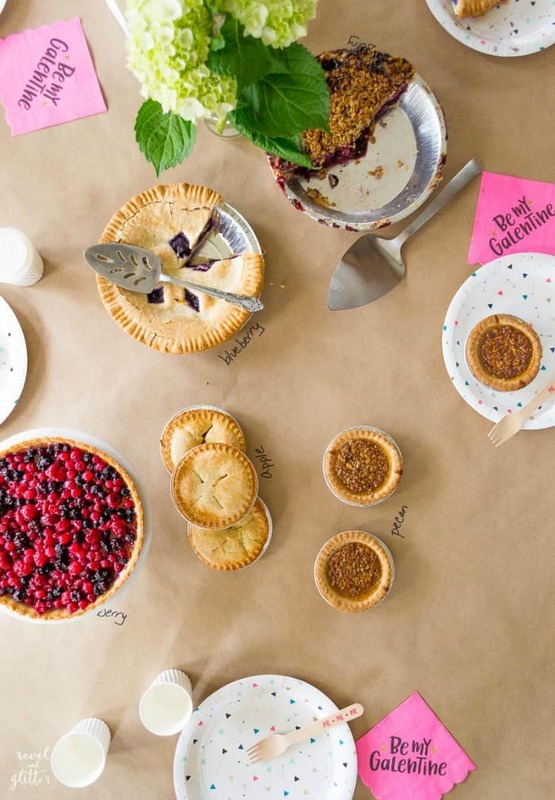 Everyone walks away with pie and new recipes to try. 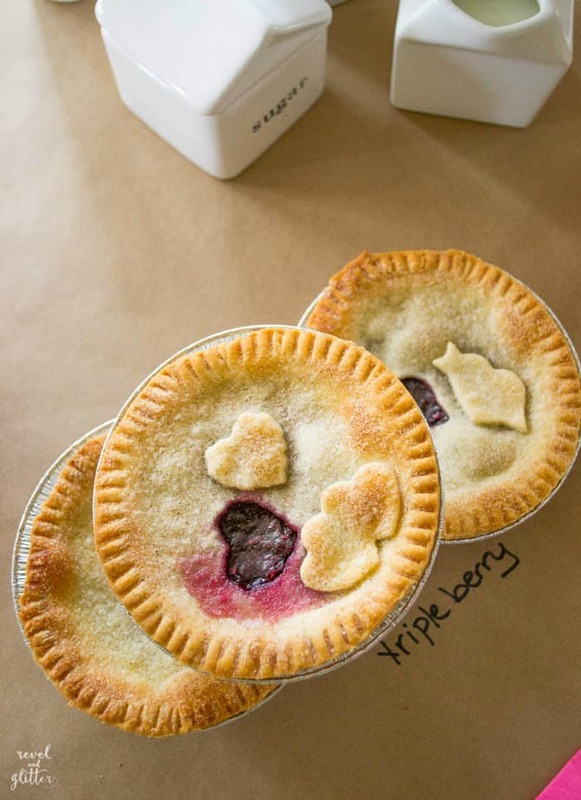 I love making mini pies and one of my favorite are Triple Berry pies. Check out my easy recipe and how-to to make your own version. 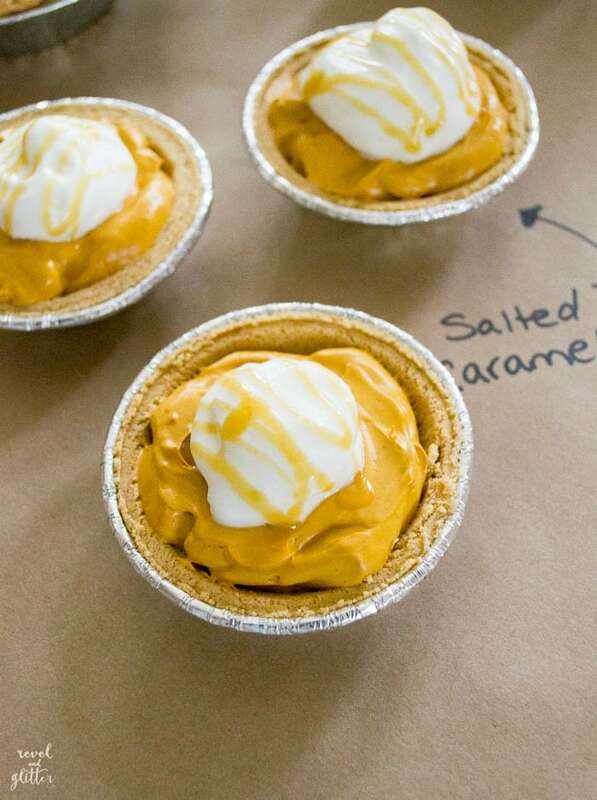 It’s easy to make cream tarts with your favorite cream pie filling and mini graham cracker crusts. 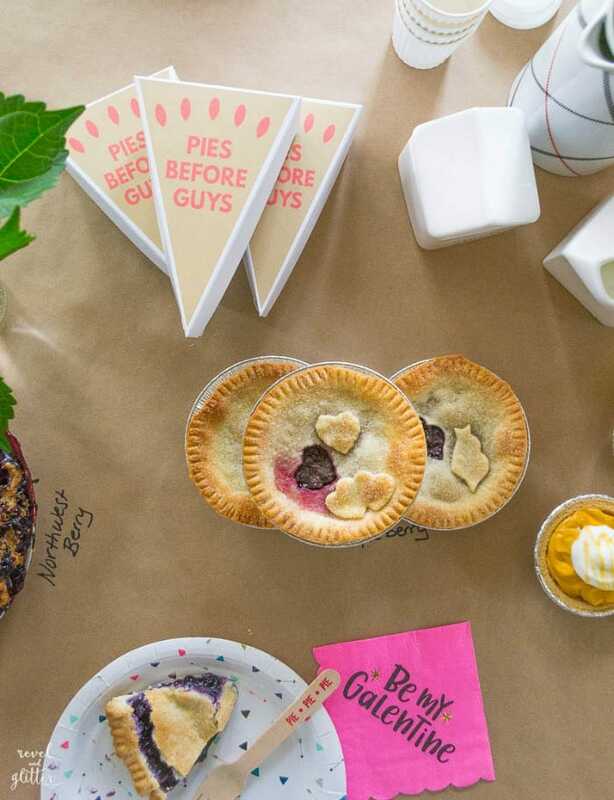 Covering your table with kraft paper does double duty as easy cleanup and pie labeling. Who needs fancy food cards? Keep it simple but classy with decorative paperware. The darling napkins are from Target and the paper plates, a HomeGoods score. 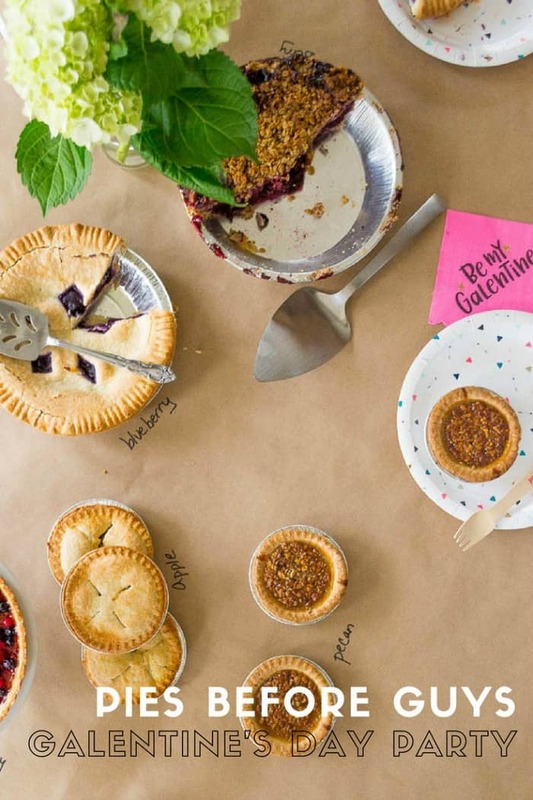 The Bakers Party Shop carries the best pie wood utensils. 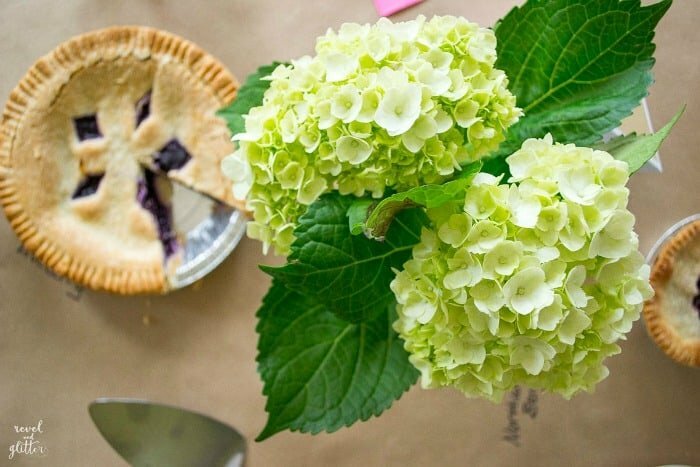 Let your pies shine on your tabletop; finish the look with a simple floral arrangement. Serve coffee or a sparkling dessert wine like a Moscato or sparkling Gewürztraminer. 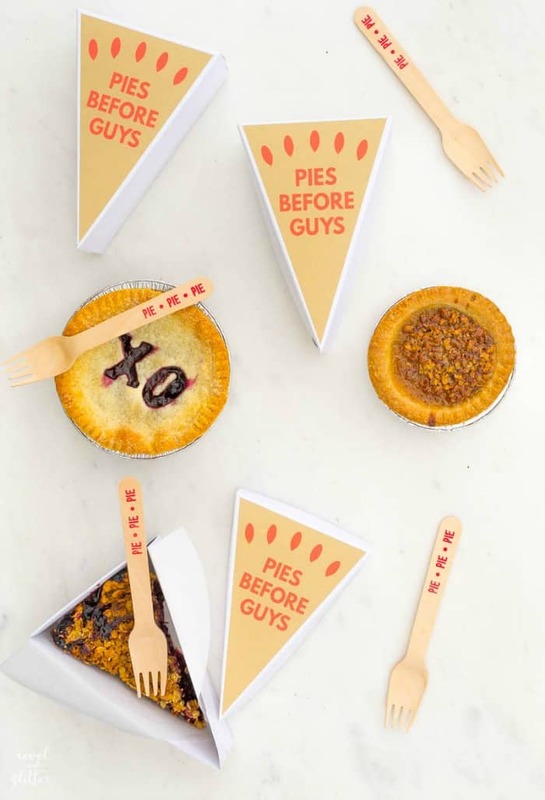 Pack up leftover slices with my free Pies Before Guys printable designed to fit A La Modo white pie boxes. I love these boxes because they are perfect for more than just pie. Click the image below for the free download and print on regular paper and adhere or use sticker paper. Be sure your print setting is at “Actual Size”. I hope you have been inspired to host your own Galentine’s Day party with a few special ladies. Need more party theme ideas? Check out my Galentine’s Day crafternoon!